Yesterday morning one of our Saints, St. Tulipa x Canadensis (aka Germen Terpstra) passed through the veil and joined the nuns and saints of the above. 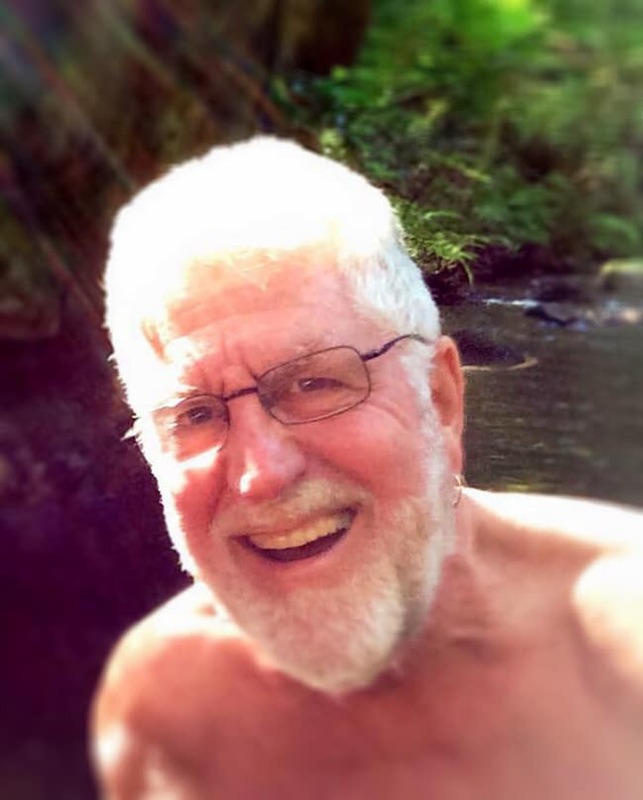 St. Tulipa had been battling cancer for the past 15 months and passed peacefully surrounded by his loved ones on the Sunshine Coast. St. Tulipa was instrumental in helping with the formation of the Abbey of the Long Cedar Canoe, and in recognition of his contributions both to our house and to the Faerie community, we bestowed our highest honour on him, making him our very first Saint in 2010. Throughout the years, St. Tulipa continued to support the Abbey, allowing us to hold retreats and visioning exercises on his beautiful homestead in Sechelt. He was particularly close to our founding members - Sr. Merry Q. Contrary, Sr. Ethica Slüt, and our house grand-meré, Sr. Merry Peter. That said, many members have fond memories of meeting our gentle giant, St. Tulipa. St. Tulipa is survived by his partner Chris Pallett, his son Julian, ex-wife Barbara, and numerous family and friends. The Vancouver Sisters of Perpetual Indulgence wish his family and friends love and light as his spirit journies on. We can't thank our beloved St. Tulipa enough for all of the wonderful contributions he made to our Abbey. Rest peacefully, St. Tulipa. Dig Out Those Poodle Skirts! 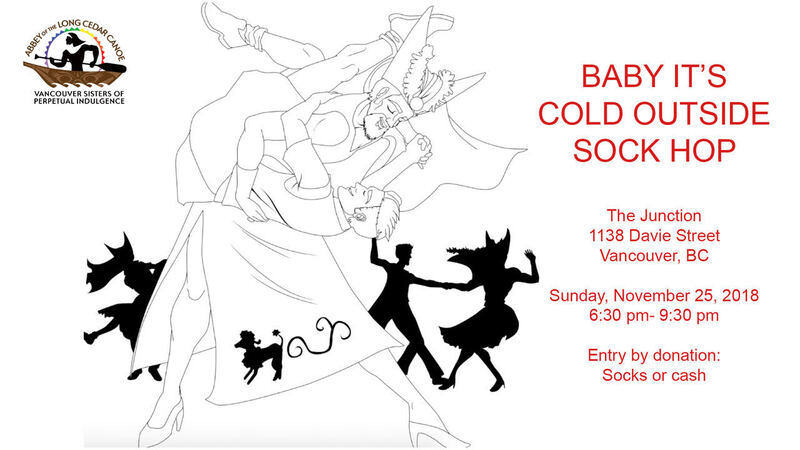 Come join us for our Fundraiser for Raincity Housing and Saige Community Food Bank! Put on your poodle skirts and your best wingtip shoes, donate and learn some new dance moves from the folks of Not So Strictly Ballroom Queer Dance! Entry is by donation - either cash or some new socks! This past weekend played host to HIV Community Link's annual Splash of Red gala. This year's theme was "Masquerade", which saw members of the community show up in their finest feathered masks and formal wear. 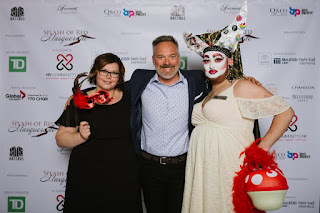 This gala raises much needed funds for HIV Community Link programming - which serves those living with HIV and those vulnerable populations in Calgary and Southern Alberta. The event brings entertainment, a live and silent auction, art and fundraising games together in one room - in this case the Crystal Ballroom at the magnificent Fairmont Palliser hotel. For a second year, our missionary sister in Calgary, Sister Visa DeKline was invited to be a part of the festivities along with former Empresses of Calgary Shauna Starr and Krystal Starr. They opened the evening with a fabulous rendition of "There Must Be An Angel" by the Eurythmics and followed it up throughout the evening with more drag numbers. In addition to the queens, there was a live band, DJ, drag kings, and both male and female burlesque performances. Each and every performance was simply incredible! Special thanks to Christy D. Swanberg Photography for capturing these amazing photos of the evening, along with several others! At the LOUD Business, LOUD Scholarship Foundation!! Vancouver Sisters of Perpetual Indulgence in the house! What a joy to be supporting the LOUD Scholarship Foundation! With the help of Cadet Flying Ace (R), Christopher (L) and Sister Fancy Pants and Diversity Rains (not pictured here) we happily raised hundreds of dollars via 50/50 ticket sales. Sister Festivus with Blair Smith Co-Chair of LOUD. 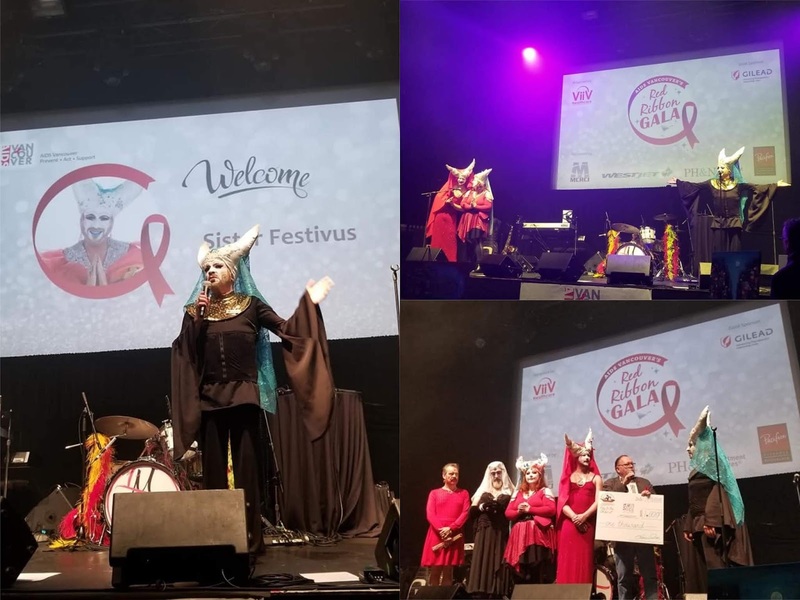 Sister Festivus Illuminata (Center) had the honor of introducing the Jim Deva Scholarships by speaking a few words in Jim Deva's memory and Jim's lifelong passion for freedom of sexuality, gender diversity, and the fight against censorship. Sister Festivus speaking of Jim Deva and later, presenting a Scholarship Award. Jim's point of view so coincides with the objective of the Vancouver Sister's of Perpetual Indulgence - where we (The Sisters), ever strive to meet our objective to promulgate Universal Joy and expiate stigmatic guilt. Due to Jim’s great support of community and the Sisters, Jim was Sainted by the Vancouver Sisters of Perpetual Indulgence in August of 2012 as “Saint Slayer of Goliath” and will always be remembered as such. Sister Festivus Presenting a Jim Deva Scholarship Award to Shannon Herrick.